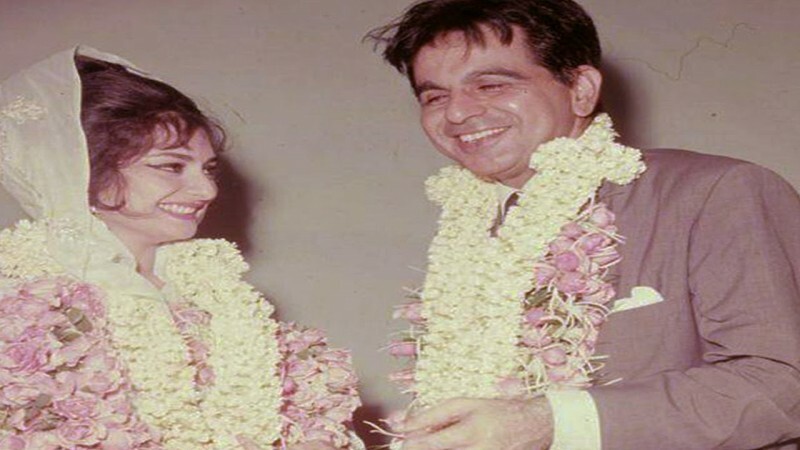 Dilip Kumar was first in love with the actress Kamini Kaushal, but they could not marry due to her being married to her deceased sister's husband. Subsequently, he was also in love with the actress Madhubala but they had to part ways as her family was opposed to their marriage. Vyjayanthimala, was Dilip Kumar's third love; they have denied any rumours of an affair. He married actress Saira Banu, who was 22 years younger than him, in 1966. He married a second time in 1980 to Asma but the marriage ended soon after. Dilip Kumar for first time in his life undertook a pilgrimage to Mecca in 2013 along with his wife Saira Banu.